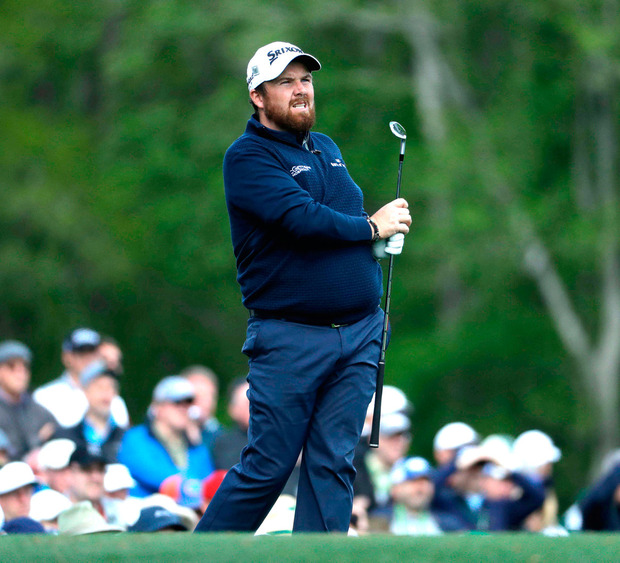 Shane Lowry suffered a walking nightmare in the second round at Augusta National. Lowry had a Jekyll and Hyde experience over the first 36 holes, and he never saw it coming. A battling, disciplined 72 for level-par in Thursday's first round positioned the Offaly man nicely for a good run in round two. Any player who managed a score at level-par or under felt it was worth maybe two or three shots better under normal conditions, so he looked forward to the second round and staking a claim for a decent Masters challenge. Except it never happened. Quite the opposite in fact. Lowry was left reeling after a front nine of 42 and an eventual 79. At seven-over, he was left one shot outside the cut mark and free for the weekend. "Yeah, I played ten holes bad, and I played the last eight holes like I played yesterday. That's the way it is, that's all I kind of have to say. There's nothing else I can do. I tried my best out there," he said. Typical Masters. Typical Augusta National. So easy to have the door slammed in your face just when you expect to stride confidently across the threshold of excellence. A bogey five on the par-four first hole, where he was bunkered off the tee, set the tone for a forgettable day's golf. "Going out, I felt grand. I went off on the first and I hit a decent tee-shot down the first, just pushed it a little bit," Lowry (right) said. "I put myself in a decent position with my second shot because I was out of position and I wanted to get myself back in position. "I didn't get that up and down, and then I hit it in the bunker on the second, gave myself a good chance of birdie and didn't hole that. "I just kept on putting it in bad positions off the tee and you just can't do that out there." It's fair to say he has relatively little experience around Augusta. Yesterday was only Lowry's eighth round in the Masters, but he did break 70 when shooting a 68 in the first round last year. The world number 65 came into this week with just five events played, due to a combination of factors, not least planning a schedule to take account of the birth of daughter Iris recently. If there was any lack of sharpness in mind, body or spirit, Augusta National will expose it. A double-bogey on the 10th, where he lost a ball off the tee, made survival an unlikely prospect. And so it went. A real tough day at the office and nowhere to hide. At that time of the day, Charley Hoffman was coming back to the field, and the cut was predicted to come at seven-over. That figure later fluctuated to plus-six but a large cohort of players still had to finish their second rounds. With the top 50 and ties making it through to the weekend, Lowry hoped he could still extend his Masters participation if he could find some inspiration. There's no doubt he has the stubborn fighting spirit of the Lowry clan as shown by his dad Brendan in his days as an Offaly All-Ireland-winning Gaelic footballer. Pride came into the mix as well. He may be an everyday guy with no airs or graces, but Lowry junior expects much of himself, and on this stage he wants to perform at his best. At last, he carved out a birdie. It came on the par-five 13th where he hit the green in two shots and got down in two putts from 41 feet. A regulation par four on 14 was evidence that the Lowry ship had steadied, and he carried on through the remaining four holes seeking a birdie that would have got him a ticket for the weekend, but he was unable to find one. "It's disappointing; like I say, I feel like I played 26 holes like one of the best golfers in the world this week and I played ten like one of the worst. "That's my week. It looks like a weekend off and on to Hilton Head next week. "I feel like I played the last eight holes as good as I can play. I'd like a run at the weekend to get a bit more experience around here as well, and have another weekend at a Major."